Showing results for tags 'detector'. Celiac.com 04/05/2019 - Avoiding gluten is literally the most important dietary practice for people with celiac disease. A gluten-free diet is the only way to avoid major health problems down the line. Until now, anyone on a gluten-free diet looking to eat food in restaurants had to rely on lots of detective work, gathering information from menus, word of mouth, intuition, and restaurant workers' advice, with little or no supporting data. 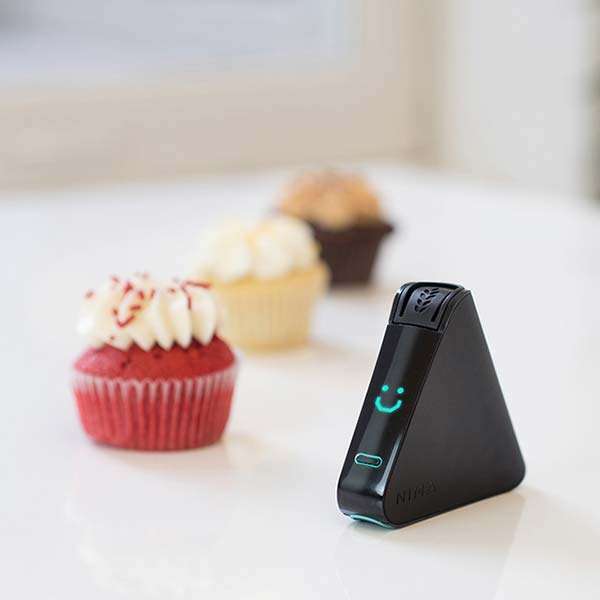 Portable Gluten Detection Data Drives Restaurant Study With the development of handheld gluten detection devices, like Nima, it’s now possible to take some of the guesswork out of equation by testing small bits of food on site in real time before it is consumed. A team of researchers recently analyzed data from Nima portable gluten detection devices, collected across the United States during an 18-month period by users who opted to share the results of their point-of-care tests. The research team included Lerner, Benjamin A., MD; Lynn T. Phan Vo, BA; Shireen Yates, MBA; Andrew G. Rundle, Dr PH; Peter H.R. Green, MD; and Benjamin Lebwohl, MD, MS. They are variously affiliated with the Department of Medicine, Celiac Disease Center, Columbia University Medical Center, New York, NY, USA; the Department of Epidemiology, Mailman School of Public Health, Columbia University Medical Center, New York, NY, USA; and with Nima Labs in San Francisco, California, USA. The study team used crowd-sourced data from users of a portable gluten detection device to estimate gluten contamination rates and identify risk factors in supposedly gluten-free restaurant foods Opt-In Study Shares Gluten Data with Researchers The team analyzed data voluntarily shared by users of Nima gluten detection devices to check restaurant meals across the United States during an 18-month period. The team sorted data by region, restaurant type, food items, time of day, and median household income near the restaurants tested. The team used the χ2 test for bivariate analysis and multiple logistic regression for multivariate analysis to identify predictors of gluten detection in restaurant food. Gluten Found in One-Third of Gluten-Free Restaurant Foods In all, the data included 5,624 tests, conducted by 804 users over 18 months. Data showed gluten in just under one-third of foods advertised as Gluten-Free in restaurants. Gluten detection was highest with dinner foods, at 34.0%, compared with 27.2% for breakfast tests (P = 0.0008). Pizza & Pasta Major Gluten Culprits Of all the foods tested, pizza and pasta labeled as gluten-free were most likely to test positive for gluten, with gluten detected in 53.2% of pizza and 50.8% of pasta samples. On multivariate analysis, food sold as gluten-free was less likely to test positive for gluten in the West than in the Northeast United States, yielding an odds ratio of 0.80 and a 95% confidence interval 0.67–0.95). This analysis of crowd-sourced data suggests that a high percentage of restaurant foods labeled gluten-free contain detectable gluten, especially pizza and pasta, where it’s over 50%. The Nima device is highly accurate and very sensitive to gluten. In some cases, Nima may detect levels below 20ppm. So, in theory some of these readings might be for foods that are actually gluten-free. Still, these findings are alarming. The team’s findings of high rates of gluten contamination in general, and in pizza and pasta, in particular, are a sobering reminder for people with celiac disease to choose carefully when dining out. Please be careful when eating out. Stay tuned for the latest news and information regarding gluten contamination in food labeled gluten-free. Read more at American Journal of Gastroenterology: March 26, 2019 Discosure: Nima is a paid advertiser on Celiac.com, but publication of this summary is not influenced by their ad.